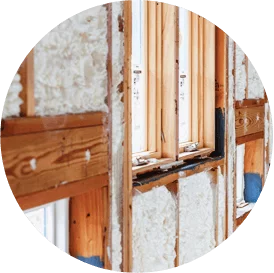 Accurate Insulation installs high-quality insulation in homes and buildings throughout Washington, DC and the surrounding Maryland areas. We offer products from the top manufacturers in the industry. Read more about our manufacturers below! Johns Manville: For more than a century, Johns Manville has been manufacturing high-quality materials to help create more energy-efficient, comfortable and durable spaces. 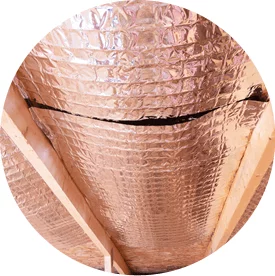 Operating out of 44 facilities across the globe, they make premium-quality building and mechanical insulation, commercial roofing, glass fibers and nonwoven materials for commercial, industrial and residential applications. Knauf: Knauf is committed to sustainability and helping better the environment. Their products are made from renewable and abundant resources, such as sand and a minimum of 50 percent post-consumer recycled glass. Their products save hundreds of times more energy in use than is required to manufacture them. Owens Corning: Owens Corning creates products designed to help make your home more comfortable, more beautiful, and more energy efficient. Owens Corning offers high-quality insulation products for a wide variety of building needs. Homeowners and contractors have come to know and trust the Owens Corning name throughout the years. Clopay: Headquartered in Ohio, Clopay has been making doors for 50 years. They have two manufacturing plants and 49 distribution centers located throughout the United States and Canada and are North America’s largest residential garage door manufacturer. Clopay is also the only residential garage door brand backed by the Good Housekeeping Seal. Contact Accurate Insulation to learn more about our manufacturers or if you’re ready to install insulation today!